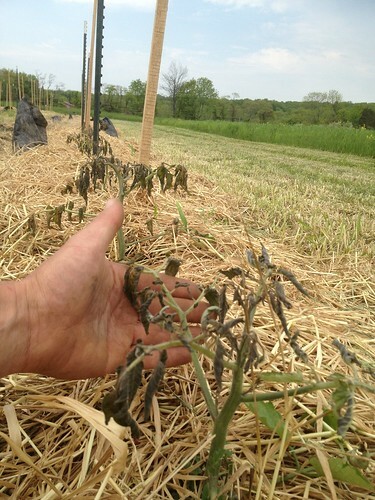 Four ‘Field Beds’, about 400 Tomato Seedlings succumbed to mortal tissue damage due to freezing temperatures. Lesson: If planting tender crops before all risk of Frost is past – Agricultural Fabric / “Remay” must be utilized or at least on hand for easy application! Frost Free date for our Field is now officially back to May 20….